Jones reportedly followed a man to the sidewalk, where he punched him before driving off. 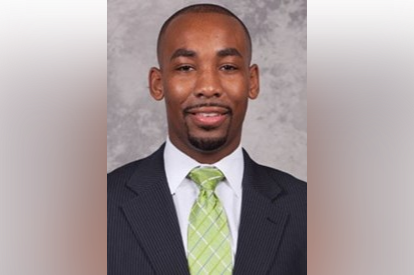 Philadelphia native and current Wake Forest assistant basketball coach Jamill Jones pleaded not guilty to an assault charge Thursday. Jones is accused of throwing a punch that killed a tourist in New York City. According to a report from the Associated Press, Jones allegedly attacked Sandor Szabo, who lived in Boca Raton, Florida, and worked for a New Jersey-based marketing company, at 1:15 a.m. on Aug. 5 in Queens. Szabo reportedly had knocked on the window of Jones’ SUV while looking for his Uber, and police told the Associated Press that Jones followed Szabo to the sidewalk, where he punched him before driving off. The Associated Press said Szabo never regained consciousness and was taken off life support Tuesday. “If you’re this good father, son, husband, why not try to take him to the hospital and see if you could save his life?” Bob Kent said on the show. Jones has been coaching basketball professionally since 2010. He began coaching college basketball at Florida Gulf Coast during the 2013-14 season before jumping to VCU in 2015-16, coaching at UCF in 2016-17, and then joining Wake Forest in May of 2017.